Expoconstruccion & Expodiseño 2017 is an international specialized fair that has become, through the years, an optimum scenario that promotes development and growth in the regional construction, architecture and design sectors. WHAT IS THE PURPOSE OF EXPOCONSTRUCCION & EXPODISEÑO? 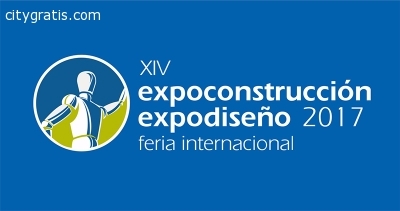 To promote an ideal space to allow the gathering of qualified stakeholders, including exhibitors, buyers and visitors to strengthen the construction and design sector, thus becoming one of the most important spaces in Latin America in terms of industry projection and growth, with an environmentally-friendly approach. •	Construction: materials, tools and inputs. •	Architectural finishes: kitchens, coverings, fixtures, ceramic sanitary ware, wood, doors, locks, hardware, glass and frames. •	Infrastructure: machinery, equipment and services. •	Home lighting and safety systems. •	Air conditioning and heating systems. •	Residential and industrial automation and technology. •	Water and environment management. •	Renewable energies and maintenance. •	Both National and International businessmen of the participating insdustries. •	Operators and professionals in the sector. •	Architecture and engineering students and similar careers.